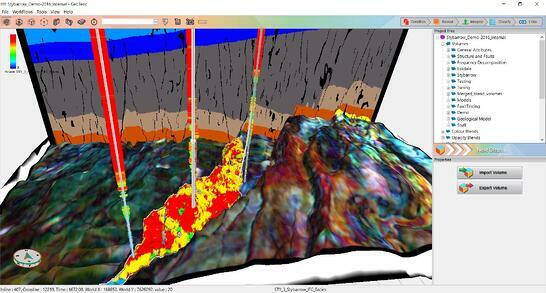 For too long the geoscience workflow has been dependent on complex, difficult to use software. The complexity is often justified by fallacious arguments such as the complexity of the science, dislike of “black boxes” and the desire to avoid “dumbing down”. Such reasoning is disingenuous, particularly if the complexity of the tools seriously reduces the time available to consider, understand and apply the results achieved by using software. It also, perhaps, reflects the investments in time and the perceived status and job security of being considered an expert in using a particular software package. As a result, arguably, the biggest issue that the industry faces when it comes to understanding the surface is not a lack of data or short comings in our theoretical understanding but the large and growing gap between what is possible and what is actually done in practice. Future success means having the tools that enable us to streamline workflows whilst increasing the precision of our analysis and our understanding of uncertainty. This can be achieved using Cognitive Interpretation and Modelling. Rather than dumbing down, Cognitive Interpretation recognises the central role of the geoscientist in interpretation and is focussed on empowering them to be able to utilise their knowledge and experience as effectively as possible. Cognitive Interpretation redefines seismic interpretation by revealing the geology before picking horizons, faults and geobodies and enables geoscientists to work more intuitively and to investigate multiple scenarios more efficiently. Cognitive Interpretation and Modelling is based on enabling the interpreter to work naturally by designing software that takes into account the way in which we visually process data to absorb information, use that information to generate knowledge and develop an understanding. The approach is also designed to compensate for some of the limitations of human cognition by incorporating techniques that prompt the interpreter to ensure that areas of ambiguity are identified and alternative scenarios are not ignored. The Adaptive Interpretation system in GeoTeric illustrates how a cognitive approach can streamline an important element of the interpretation workflow. Horizon interpretation can be a very time consuming process. With conventional systems the time required to edit an automatically tracked surface can equal the time it would have taken to manually interpret the surface line by line. The Adaptive Interpretation system solves this problem using a patented approach to give the auto-tracked surface a property known as Regional Structural Awareness (RSA). RSA gives the Adaptive Interpretation tools a degree of intelligence and provides an interface that is being developed to allow human cognitive and machine learning approaches to work synchronously and augment one another. GeoTeric's Adaptive Interpretation System provides the industry's only method for the complete interpretation of multi-attribute volumes & color blends. As well as delivering a substantial productivity gain for interpreting new faults and horizons, the Adaptive Interpretation capabilities can be used to refine and update previously interpreted surfaces. This is a big advantage as it allows interpretations to be updated very quickly and efficiently as projects move through the exploration phase into development and production and as new data or information becomes available. 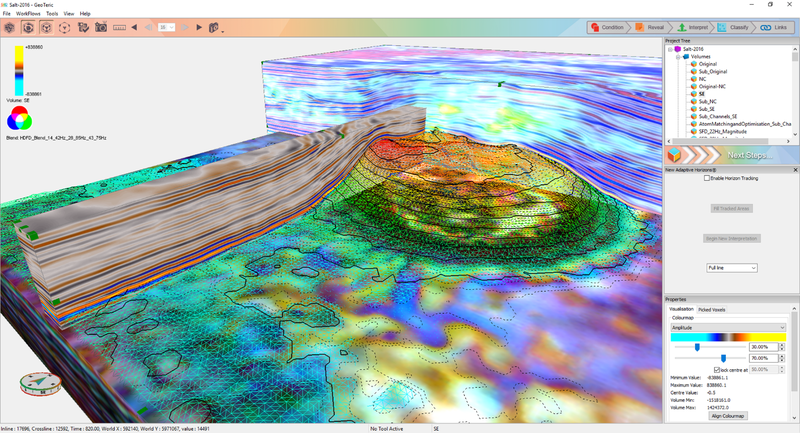 Currently, GeoTeric’s Cognitive Interpretation approach is being expanded to encompass 3D geological modelling. This will greatly increase the efficiency of the model building process. Equally, if not more importantly, Cognitive Interpretation and Modelling will seamlessly integrate interpretation and 3D modelling by creating a single realisation of the subsurface that captures both the geophysical and geological information with much greater precision. To find out more about our offering please view this short overview video and see our two most recent blogs talking about the latest release (Geoteric 2017.1) and a more in-depth look at the new Adaptive Horizons.